Box of 1kg of Jumbo size Medjoul Dates harvested near the historical Palestinian town of Jericho. This box contains 1kg of loose dates. 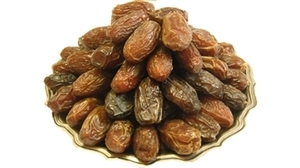 These are fresh dates of the highest quality carefully stored under a controlled cooled environment. These have been cultivated on Palestinain land by Palestinian farmers and packed by Palestinian workers.